In response to our call for pictures in this month's email newsletter, Tim W. from Bangor, ME was the first to respond. Thanks Tim! 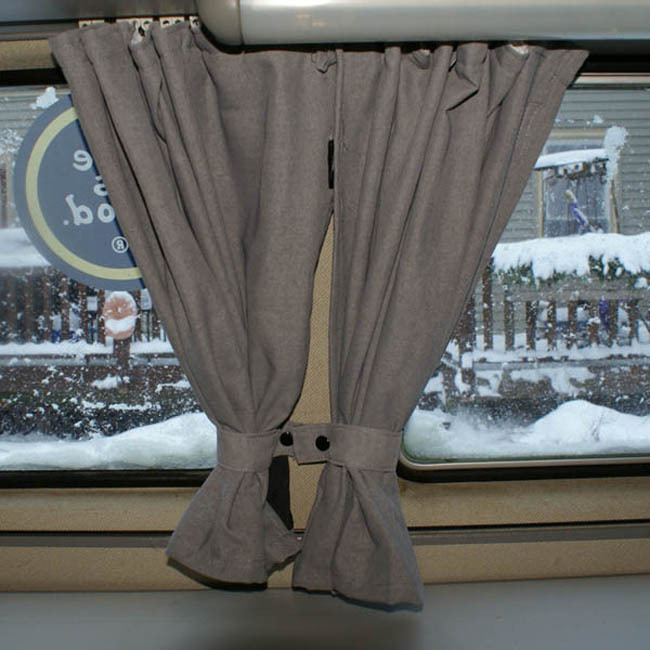 He shared the picture below showing the new curtains he added to his VW Westfalia Camper (also known as a Westy). Tim used the 3096 Wrinkle Band and 4040 Wrinkle Band Hooks for his project, along with the 3050 Eye Slides to replace some missing from his VW Westfalia curtain track system. The sticker visible outside the window indicates that life is good. We would have to agree, since we are impressed with the way these replacement curtains for the VW Westy turned out. Those curtains can certainly add warmth inside the vehicle, given the snow on the outside. The addition of the tie backs for the curtains makes them look nice, and also secures them during travel. They can be made by using a snap stud (male snap) with a screw back to secure one end of the tie back to the wall, and adding a socket (female snap) to the other end of the fabric strap. They offer a nice touch to this Westy. Not sure what a VW Westfalia even is? We'll they have been around for years and we're sure you have seen one. 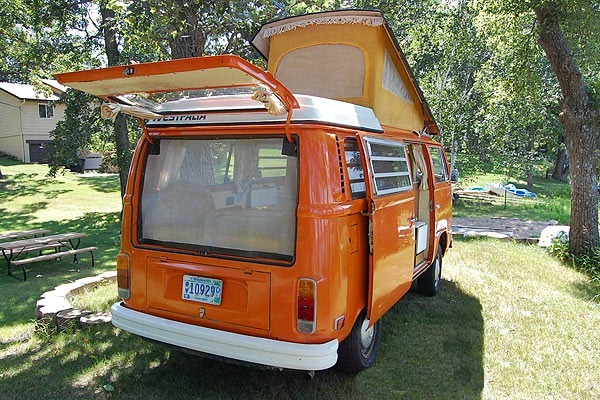 Volkswagen Westfalia Campers were conversions of VW Type 2 (better known as Transporter or Micro-Bus) vehicles in the early 1950s through 2003. They have a terrific following, and many of the classics have been restored. There are a number of online communities like LoveMyBus.com and Westfalia.org that are dedicated to Westfalia owners and fans. Curtain-Tracks.com offers a wide range of small scale curtain tracks that are ideal for campers and micro buses just like these. Some of the parts that we carry are compatible with the existing curtain tracks, and we also offer replacement tracks that allows an owner to customize the interior of their VW Westfalia to improve upon the original design based upon their individual needs. We have compatible parts for most vehicle interiors, and in some cases, have the exact spare parts originally used in the production of the camper, boats, or RVs. If you aren't up to the task of sewing replacement curtains for your Westy, van, camper or RV, also keep in mind that Curtain-Tracks.com can provide custom made curtains to fit your vehicle. Visit our RV curtains page, provide you best estimates of the hardware type, quantity and size of the replacement curtains you need, and we will work with you to see if we can meet your needs. 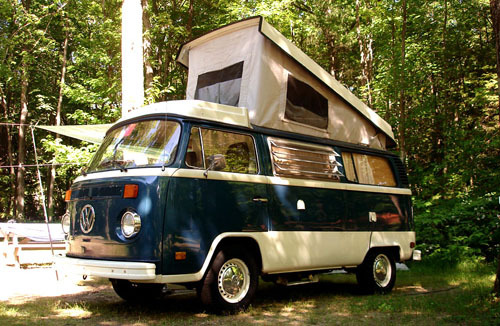 Whether you have a VW Westfalia or a large Class A RV, we may be able to help. Have a restoration of a classic vehicle you'd like to share that used Curtain-Tracks.com hardware? We'd love to see it and share it too. Great article! I'm replacing my vanagon curtains now and am looking for the right replacement hooks and ribbon. Do you have a close-up of how the hooks work with the ribbon and the gliders? Thank you!